You asked, we listened: what’s new in 2018! As a former teacher and lifelong lover of school, I’ve always thought fall is the most wonderful time of the year. Each new school year brings new friends and new experiences. At ReadyRosie, the start of the new school year is our time to share new features that have been in development - including some projects our team has been tackling for over a year! I am excited to share a little bit about our design process and reveal what our dedicated content and tech teams have been working on! Interviews with educators. This year, we reached out to over 50 educators who were consistently sharing ReadyRosie playlists and were getting great feedback from families. We listened as they shared their experiences, what they loved, and what else they could use. Data captured in Share. We analyze data from hundreds of programs and schools across the U.S. to evaluate what is working! We step back and look globally at how caregivers are engaging with the platform and read thousands of comments from families. Evaluation results. You might have heard about our ongoing evaluation relationship with the University of Pittsburgh, including recently released results on Phase I of the evaluation. During this past school year, we were thrilled to hear how ReadyRosie is meeting a need that schools have had for a long time by making family/school partnerships simple and effective. Based on what we learned, here are a couple of the new features we’re rolling out this fall to make it even easier and even more effective for our partners to get the most out of ReadyRosie. Bulk Upload Capability– Imagine if your teachers could log in this fall and have their roster uploaded into their Share platform! If you are interested in taking advantage of this option, you will fill out a spreadsheet provided by the ReadyRosie team once your class rosters are final. From there we will upload your families, and all your teachers/family service workers will need to do is press the “Invite” button and manage the invitations. Registration Through a Code – Do you ever find yourself in situations where you want to get families registered on the spot, without the invitation? Ex: Pre-K or Kinder Registration, Family Events, etc. With our customizable school code, your families will be able to download the mobile app, enter a customized school code, and connect with their teacher. No teacher? No problem! The parent will still be connected to the school and then can be pulled into the teacher’s classroom once assigned. Data by Academic Growth– Beginning this fall, you will be able to see how many videos your families have watched in specific areas, such as Literacy, Math, and Social Emotional Learning. Data by Family Growth – In addition to being linked to academic learning outcomes, all of our videos model family growth, including areas such as families as leaders, families as lifelong learners, etc. You will soon be able to track family growth in our data based on the videos viewed. Data by Monthly Views – Rather than just see a composite of usage per family, you will be able to see how each family is interacting with ReadyRosie in incremental time periods. This supports in-kind reporting for Head Start programs and celebrates successes. NEW Ready-made Parent Teacher Conference Materials- Everything your teachers need from planning documents, customizable invitations and thank you notes, and mini PD opportunities. PLUS the ability to create custom playlists for just one family. Videos delivered to the family based on the individual needs of the child is the perfect way to follow up after the parent teacher conference. 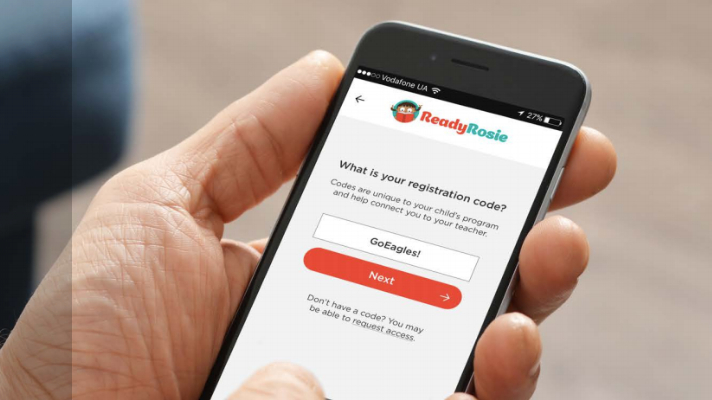 NEW Ready-made Family Night Plans- Almost all of our school partners host family literacy and/or math nights, etc., and asked us how they could incorporate ReadyRosie into those events. Not only will these guides show educators how to do that, they make planning for these events simple and time-saving! GIve Me Ten Family Workshops- These ready-made mini-workshops can be delivered in ten minutes or less!! They cover critical topics in parenting like establishing routines, social emotional development, and more! They are simple to facilitate, so a teacher or family service manager can host one at drop off/pick up (or any other time!) with little to no preparation! Thanks for being on the continuous journey of improvement with us. Our hope is that these new tools and features will enhance your critical work of supporting children through strong family/school partnerships.